Daix (France), May 28, 2018 – Inventiva S.A. (“Inventiva” or the “Company”), a biopharmaceutical company developing innovative therapies in nonalcoholic steatohepatitis (NASH), systemic sclerosis (SSc) and mucopolysaccharidosis (MPS), announces today the appointment of Dr Lucy Lu to its Board of Directors. Dr Lu has a wide experience of over 15 years in the biotech and healthcare sector as an investment banker, sell- side analyst and CFO/CEO of biotech companies listed in the United States. As such, she will bring additional expertise in finance and clinical development to Inventiva. Drawing on her experience and knowledge of the American market, Dr Lu will also advise and help the Company in its development in the United States. Lucy Lu joins Inventiva following the Company’s €35.5 million capital increase on April 13, 2018, in which Sofinnova Crossover I SLP fund (“Sofinnova”) has participated for an amount of 10 million euros. In this respect, Sofinnova proposed Dr Lu’s appointment to Inventiva’s Board of Directors. 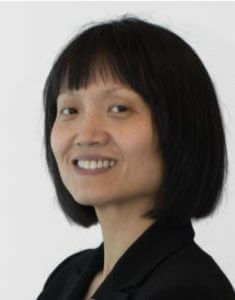 Alongside her role at Inventiva, Lucy Lu has been the President and Chief Executive Officer of Avenue Therapeutics since its inception in 2015. Prior to this, she was Executive Vice President and Chief Financial Officer of Fortress Biotech from 2012 to 2017. Before working in the biotech industry, Lu gained 10 years of experience in healthcare-related equity research and investment banking working at Citigroup Investment Research (2007-2012) amongst others. Lucy Lu holds an M.D. degree from the New York University School of Medicine and an M.B.A. from the Leonard N. Stern School of Business at New York University. She also obtained a B.A. from the University of Tennessee’s College of Arts and Science. Inventiva is a biopharmaceutical company specialized in the development of drugs interacting with nuclear receptors, transcription factors and epigenetic modulators. Inventiva’s research engine opens up novel breakthrough therapies against fibrotic diseases, cancers and orphan diseases with substantial unmet medical needs. Lanifibranor, its lead product, is an anti-fibrotic treatment acting on the three alpha, gamma and delta PPARs (peroxisome proliferator-activated receptors), which play key roles in controlling the fibrotic process. Its anti-fibrotic action targets two initial indications with substantial unmet medical need: NASH, a severe and increasingly prevalent liver disease already affecting over 30 million people in the United States, and systemic sclerosis, a disease with a very high mortality rate and for which there is no approved treatment to date. Inventiva is also developing a second clinical program with odiparcil (IVA 336) for the treatment of patients with mucopolysaccaridosis type VI (or Maroteaux-Lamy syndrome), a rare and severe gene disease affecting children. Odiparcil has also the potential to address other MPS types, characterized by the accumulation of chondroitin or dermatan sulfate (MPS I or Hurler/Sheie syndrome, MPS II or Hunter syndrome, MPS IVa or Morquio syndrome and MPS VII or Sly syndrome). Inventiva is also developing a portfolio of early research projects in the field of oncology. Inventiva benefits from partnerships with world-leading research entities such as the Institut Curie in the field of oncology. Two strategic partnerships have also been established with world-class major pharmaceutical companies AbbVie and Boehringer Ingelheim in the fields of autoimmune diseases (specifically in psoriasis) and fibrosis respectively. These partnerships provide milestone payments to Inventiva upon the achievement of pre-clinical, clinical, regulatory and commercial milestones, in addition to royalties on the products resulting from the partnerships. Inventiva employs over 100 employees and owns R&D facilities near Dijon, acquired from the international pharmaceutical group Abbott. The Company owns, a proprietary chemical library of over 240,000 molecules as well as integrated biology, chemistry, ADME and pharmacology platforms. plans, business and regulatory strategy, and anticipated future performance of Inventiva and of the market in which it operates. Certain of these statements, forecasts and estimates can be recognized by the use of words such as, without limitation, “believes”, “anticipates”, “expects”, “intends”, “plans”, “seeks”, “estimates”, “may”, “will” and “continue” and similar expressions. Such statements are not historical facts but rather are statements of future expectations and other forward-looking statements that are based on management”s beliefs. These statements reflect such views and assumptions prevailing as of the date of the statements and involve known and unknown risks and uncertainties that could cause future results, performance or future events to differ materially from those expressed or implied in such statements. Actual events are difficult to predict and may depend upon factors that are beyond Inventiva”s control. There can be no guarantees with respect to pipeline product candidates that the candidates will receive the necessary regulatory approvals or that they will prove to be commercially successful. Therefore, actual results may turn out to be materially different from the anticipated future results, performance or achievements expressed or implied by such statements, forecasts and estimates. Given these uncertainties, no representations are made as to the accuracy or fairness of such forward-looking statements, forecasts and estimates. Furthermore, forward-looking statements, forecasts and estimates only speak as of the date of this press release. Readers are cautioned not to place undue reliance on any of these forward-looking statements. Please refer to the “Document de référence” filed with the Autorité des Marchés Financiers on April 13, 2018 under n° R.18-013 for additional information in relation to such factors, risks and uncertainties. Inventiva has no intention and is under no obligation to update or review the forward-looking statements referred to above. Consequently, Inventiva accepts no liability for any consequences arising from the use of any of the above statements. Inventiva is a clinical-stage biopharmaceutical company focused on the development of oral small molecule therapies for the treatment of patients with significant unmet medical need in the areas of fibrosis, lysosomal storage disorders and oncology.